Have you given consideration to what will happen to your business if you, or your co-owner, die? The legal position varies depending on the structure of the business, but in all types of business, having in place an effective succession plan can help to ensure that the transfer goes as smoothly as possible and that tax liabilities are minimised. Failure to make an adequate plan can have far reaching effects and could lead to disruption, disputes, tax consequences which could have been avoided, or even a failure of the business entirely. This is the second in a series of articles looking at what happens to a business on the death of a business owner. This article considers the issues that arise in businesses being run as companies, in particular where only one individual is both the sole director and the sole shareholder (a Sole Director-Shareholder). Companies continue to exist after a shareholder or director’s death but succession issues will still arise. This is particularly the case if one individual is the only director of the company and is also the only shareholder. 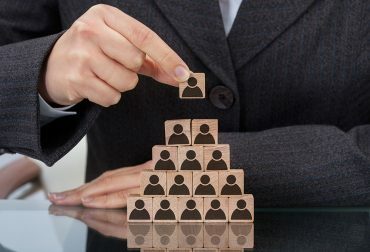 Following the death of a sole shareholder who is also the sole director, the personal representatives (PRs) of the deceased will need to appoint a new director and register the transfer of the deceased shareholder’s shares into their names, or into the names of the beneficiaries, as soon as possible. Any delays in this process can have catastrophic effects on the business. However it is a principle of company law that a person is only entitled to be recognised as a member of the company once their details have been entered in the register of members, but registering a new member requires the approval of the directors. If there are no directors, who can approve the new member – and if there are no members who can appoint a new director? Most articles of association for companies set up after October 2009 will have provisions to deal with this situation. Unfortunately, the articles of association of many companies incorporated prior to this do not. The High Court case of Kings Court Trust Limited & Others v Lancashire Cleaning Services Limited illustrates the problems this causes. In this case the Sole Director-Shareholder had appointed executors to his estate in his Will, however he did not have the articles of association of his company reviewed to check those executors would have the power to appoint a new director. Following his death, as there were no directors, the Bank froze the company’s bank accounts. Employee wages, VAT and invoices were due but the employees running the company were unable to operate the account and the executors were powerless to help. As the judge in the case put it, “the Company had been left completely directionless, with no officer capable of acting on its behalf”. It became necessary for the PRs to apply to the High Court to amend the register of members so that a resolution could be passed to appoint a new director to act on the company’s behalf. A costly resolution. To avoid this situation it is important that you review your company’s articles of association, and if necessary amend them, and also consider other ways in which your company could be structured to minimise any disruption to ensure that the company can continue to operate in such circumstances. A simple amendment to the articles may be all that is required to ensure business continuity in the event of your death.